The Holiday Treat is a Hit! What has all the trimmings of a great Christmas musical? Why a sparkly, jolly, twinkly set, song and dance merriment, interesting character foils and dynamics, and an endearing love story. Elf the Musical opened Friday night at The Rose Theatre, lauded as one of the best children’s theatres in the nation with its cutting-edge lighting technology and emphasis on education. The production’s infectious charm will make you sing along, and not just to songs you know and love from the 2003 film starring Will Ferrell. Elf is sprinkled with Christmas magic as it tells the story of an orphaned infant who was discovered in old St. Nick’s toy sack, and raised to be one of Santa’s helpers. But Buddy doesn’t fit in with the other elves considering his size. Little does he realize that his place is among the human world. Like any elf undergoing an identity crisis, Buddy sets off to glamorous New York City in search of meeting his dad. Mistaken for a singing telegraph in his uncanny elf garb, Buddy wins over the office staff and a quirky secretary, Deb, played by Mary Carrick who is a hoot on stage, delivering a mix of funny and zany acting chops. He encounters one character who is not quite taken with him- Walter Hobbs, his own workaholic father, (Anthony Clark-Kaczmarek.) In fact, a warm welcome for his long-lost son is long overdue. Believing Buddy to be a homeless lunatic who keeps following him around, Walter is met with a startling surprise when his wife Emily (Megan King) reveals a secret. It’s not long before he starts to win over Emily and makes a new friend in Michael. Buddy even manages to lift the spirits of Macy’s store employees and remind his disheartened coworker Jovie, of the magic of Christmas. Dan Chevalier, returns to The Rose (Honk! 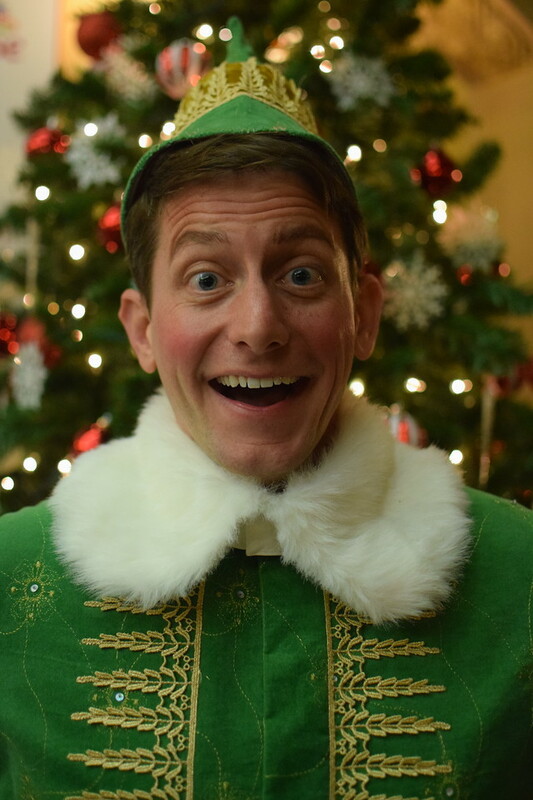 The Best Christmas Pageant Ever,) and does the beloved role of Buddy the Elf justice with his childlike portrayal of the 30-year-old elf still reveling in the joys of Christmas. His charm will win you over, no matter how juvenile or naïve. Regina Palmer, (Shrek,) plays the nonchalant and (at times) cynical character of Jovie with poise, stunning with lovely and powerful, rich vocals. Sarah Gibson (The Greatest Christmas Pageant Ever, Peter Pan,) is notable as Ms. Greenway, Walter’s incessantly demanding and icy boss who can’t be pleased. Her couture attire and haughty airs offer a fun feature part. Mary Carrick and Megan King, well-known names in the Omaha theatre community, are new faces at The Rose, and round out the dynamic 28-member cast. Directed by Matthew Gutschick, with music by Jerry Brabec, it is sure to be a holiday favorite this season and one most likely you will want to see over and over again. 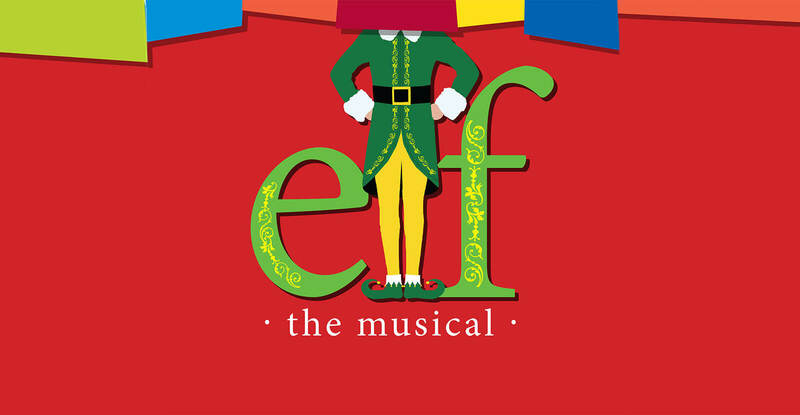 Elf the Musical was written by Thomas Meehan, who received his first Tony Award for writing the book of Annie, and co-writing books for The Producers and Hairspray. Music is by composer Matthew Sklar with lyrics by Chad Beguelin. Catchy songs and jazz-inspired dances will make you tap your toes in your seat. In one scene the office even lets loose in a liberating moment when the boss is out-gyrating hips and shimmies and all. If that isn’t enough, the dazzling array of 30-pound glitter will astound as you watch a grand proscenium transition between scenes with perfectly timed projections and state of the art lighting design and execution. It’s a striking display of lavish, spectacular entertainment. Aptly clever with commercial appeal for all ages, the cast is lively and engaging in this two -hour, upbeat show that was made for children but surely adults will join in the laughs.